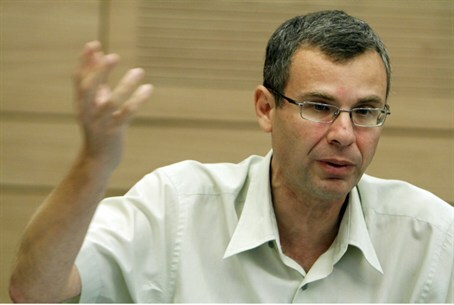 MK Yariv Levin: Planned demolitions in Judea and Samaria could split the Likud party. The government has the power to stop this. MK Yariv Levin (Likud) warned on Sunday that the planned demolitions in certain Jewish communities could cause a split in the Likud. Several communities – Migron, Givat Assaf and the Ulpana neighborhood in Binyamin - are slated for demolition in the near future. At the root of the problem are several issues: Supreme Court Dorit Beinisch has ruled recently that land in Yesha (Judea, Samaria, Binyamin) that has no proven Arab owners but is not designated as state land is to be considered Arab land by default rather than state land; the court does not consider suggesting payment or alternate land in the rare cases of Arab landowner claimants whose claim is found to be justified; the state aided in the founding of certain communities without determining their final status and the court has ruled on demolitions without that final determination. Prime Minister Binyamin Netanyahu recently ordered the formation of a government committee tasked with legalizing some of Judea and Samaria’s outposts. However, Attorney General Yehuda Weinstein threw a wrench into the committee’s work by determining that the committee will not be able to discuss communities on which there is already a court ruling. Weinstein’s move means that the committee will only work to prevent future demolitions and will not discuss the communities already scheduled for demolition. Levin said that this is “not acceptable” and that solutions must be found for these communities as well. Levin also criticized the decision to appoint former IDF Judge Advocate General Avichai Mandelbilt as chair of the committee. Mandelbilt, a confidant of Defense Minister Ehud Barak who advocates destroying the communities the committee is intended to legalize, oversaw during his time in the IDF policies aimed at curbing Jewish land-ownership and construction in Judea and Samaria, which are considered both discriminatory and partisan by Mandelbilt’s critics. He added that any demolitions would fundamentally undermine the coalition as well as the internal unity within the Likud party.